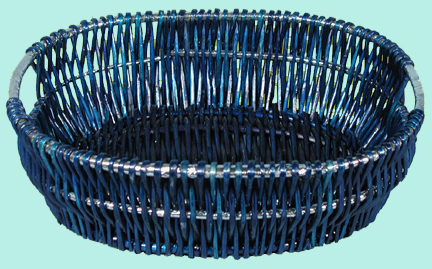 This Blue and Silver basket measures 16.25"x12.5"x4.75" on the outside. It is only available as it is shown. This basket also comes in a larger size. Please click item P3143 to view.